Do you know the basics of rental property financing? Have you been wanting to invest in passive income real estate for quite some time, but have yet to identify the best way to get the process started? Don’t worry, you’re not alone; there are plenty of investors new to the real estate industry that are interested in capitalizing on rental properties, but are otherwise unsure of how to proceed. Fortunately for those investors entertaining the idea of creating a passive income portfolio, rental property financing isn’t much more difficult to grasp than financing a traditional flip — just different. If for nothing else, the basic tenets of securing capital are still at play; you still need to find the money for a deal at a price that meets your criteria. It is worth noting, however, that while rental property financing is similar to the traditional financing options you’d use for a rehab, there are still differences that warrant your consideration. It is, therefore, in your best interest to learn how to finance a rental property before you even consider buying one. 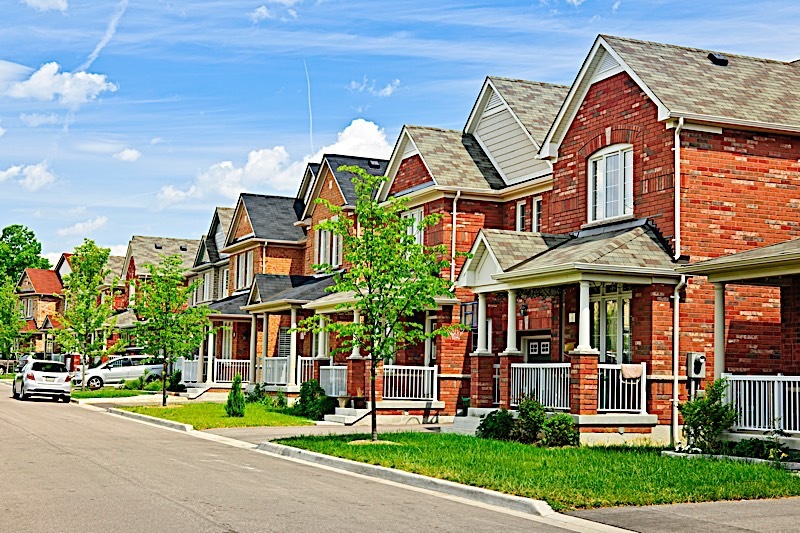 Continue reading to learn the basics of rental property financing every investor should know. Remember, success tends to favor those that are the most prepared, so get ready to tip the scales in your favor. Financing a rental property is typically a bit more involved than financing a traditional rehab; namely, because of the long-term nature. While a traditional rehab will have investors borrow money for somewhere in the neighborhood of three to six months (usually from a private lender, of sorts) and pay back the loan once the house is sold, passive income owners aren’t awarded the same luxury. You see, rehabbing is made possible by short-term loans. Private money lenders will lend to rehabbers for a short period of time to make interest off of their investment. Real estate investors, on the other hand, are inclined to return the money (with interest) as fast as possible, as each day they wait to pay back the loan costs them money. And there you have it: rehab and wholesale investors count on short-term loans with high interest rates to make their deals possible. Anything longer than “short-term” loans could prove too expensive because of the interest rates they typically come with. Passive income investors, on the other hand, aren’t looking to make a lot of money in a short period of time, but rather smaller amounts of money over a much longer period of time. That means most of the private and hard money loans wholesalers and rehabbers tend to favor are off the table. The interest rates they charge are simply too much for most investors looking to hold on to a property for an extended period of time. Rental property financing will require an alternative approach. More specifically, most investors will look to pad their coffers with several wholesale and rehab deals before the make buy and hold properties their priority. That way, they can fund the deal out of their own pockets, and not have to worry about the interest rates of today’s private lenders. Maximize Your Down Payment: In order to justify rental property financing, you need to make sure the property’s potential for cash flow exceeds the amount due each month for the mortgage. In other words, the rent coming in needs to be justifiably higher than the amount you are writing on your mortgage check each month. As far as I am concerned, the easiest way to do that is to put as much down on the property as possible. The more you put down upfront, the smaller your monthly mortgage payments will be. If you’re able to put down at least 20%, you’ll simultaneously be able to avoid paying private mortgage insurance and reduce your monthly obligations. Seller Financing: Though often overlooked, seller financing can often serve as a great alternative. As its name suggests, seller financing will have the seller act as they bank. As the investor, you’ll make payments to the owner instead of a bank, usually with terms you negotiate with the seller. Sellers financing their own sale are able to ask for their own terms, and oftentimes end up on the higher end of the spectrum for the inconvenience. However, it’s entirely possible to find a seller looking for incredibly low interest rates. Just know this: sellers are often the easiest to negotiate terms with, so give it a shot. Find A Partner, Or Two: Sometimes the easiest way to secure rental property financing is to limit the amount of your own “skin” in the game. Therefore, if you are having trouble coming up with the money to buy a rental property, consider partnering with someone that can bring more money to the table. Sure, the profits from rent will be split, but if you choose a good property with cash flow, each month will get you one-step closer to your next asset. Become An Attractive Borrower: Not surprisingly, banks will offer better terms to borrowers that have been deemed “less risky.” As a result, do your best to improve your position in the eyes of traditional lenders. If you intend to use a bank, it’s in your best interest to make them want to lend to you; that way, you’ll be given better terms. Mortgage broker Todd Huettner, president of Huettner Capital in Denver, says to aim for a credit score above 740. “Below (a score of) 740, it can start to cost you additional money for the same interest rate,” he says. The more attractive you are to banks, the less it’ll cost you to finance a rental property. Shop Around: Think creatively and exercise your options. Banks will offer different types of financing, and it’s in your best interest to find the one that suits your needs the most. Do not — I repeat, do not — simply accept the first loan that is thrown your way; you could me missing out on several thousands of dollars by not weighing your options. Rental property financing doesn’t have to take the shape of traditional financing. While you can exercise every option made available to you (traditional bank loans, private money, hard money, etc. ), there’s almost always an alternative. “Financing for the actual purchase of the property might be possible through private, personal loans from peer-to-peer lending sites like Prosper and LendingClub, which connect investors with individual lenders,” says the professionals at BankRate. However, there is one creative rental property financing technique I tend to favor over all others: owner financing. Owner financing, as its name suggests will have buyers essentially take out a loan from the person they intend to buy the property from. And, in exchange for the loan, the buyer will typically request an interest rate that is slightly higher than those offered by banks. It is with noting, however, that the terms of an owner financed transaction are almost entirely negotiable. It is possible to negotiate favorable terms if you know what you are doing. At least, you’ll never know till you try. Let’s take a look at some of the other types of loans you may want to look into. Cash is king in the real estate investment world, and financing rental properties is no exception. In fact, paying off a property with cash in one fell swoop is easily the preferred method of acquiring a rental property. That way, you don’t have to worry about cutting into your bottomline with high interest rates. Perhaps even more importantly, an all cash transaction will be less likely to fall through at the eleventh hour. According to the U.S. Department of Housing and Urban Development (HUD), “Section 203(k) insurance enables homebuyers and homeowners to finance both the purchase (or refinancing) of a house and the cost of its rehabilitation through a single mortgage or to finance the rehabilitation of their existing home.” It is worth noting, however, that 203(k) loans serve a unique purpose: they are best used by those who not only want to buy a home, but also repair it. If you are certain that you’ll make repairs on the subject property, maybe a 203(k) loan is a good option. As I already alluded to, partnerships can be a great way to finance a rental property. If for nothing else, real estate is a people business; there’s no reason the people you work with can’t also help you fund your deal. If, for example, you can only come up with half the asking price, it can’t hurt to partner with someone that can front the remaining funds. Of course, that means you’ll be subject to the rules of partnership and most likely split all your profits, but your risk will be cut in half and you’ll also be able to generate a new stream of cash flow. Before you know it, you could pay off the first loan and have enough save up for your second property. Rental property financing can be obtained in a variety of ways, not the least of which I discussed above. That said, today’s most prolific investors will know how to vet the options made available to them on each and every deal. If you hope to finance a rental property with any degree of success, you must know which loan suits your plans the best. Only once you are certain you have found the loan that gets you one step closer to closing the deal can I recommend moving forward. Above all else, mind due diligence and know exactly what you are getting into before you sign on the dotted line. Rental property financing isn’t much more difficult than financing a traditional rehab, only different. Financing rental property is made easier be educating yourself on the topic and knowing about all your options. Financing for rental property isn’t as hard to come by as many assume.